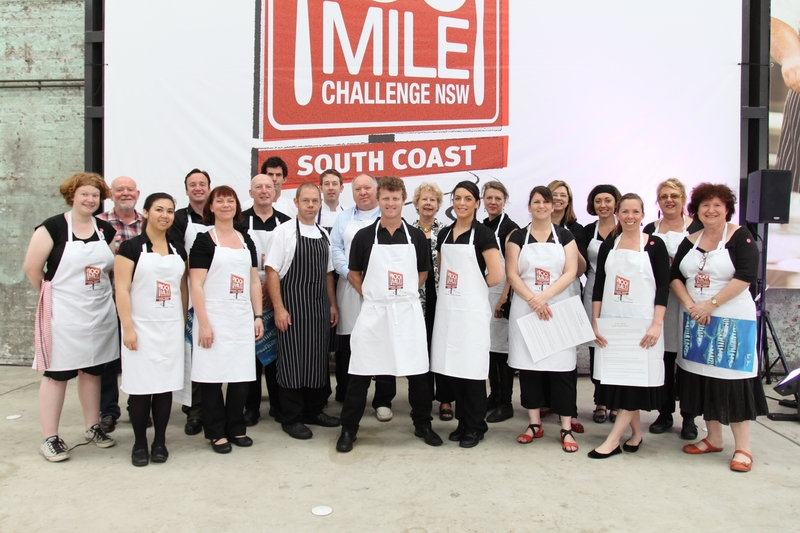 South Coast wins the 100 Mile Challenge at first attempt. Art4Agriculuture Young Farming Champion Siannon Parice and photographer extraordinaire was there to capture all the highlights and spirit of the event through the lens of her camera. How does the 100 mile challenge work you may ask? 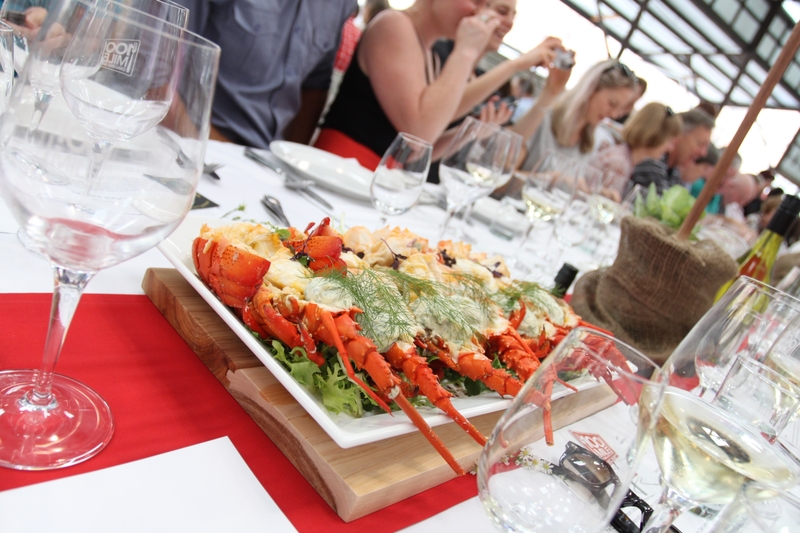 Well each of the five regions selected the highest quality produce and best of the best chefs from their region and created a delicious and sumptuous three course feast and served it to 100 guests. 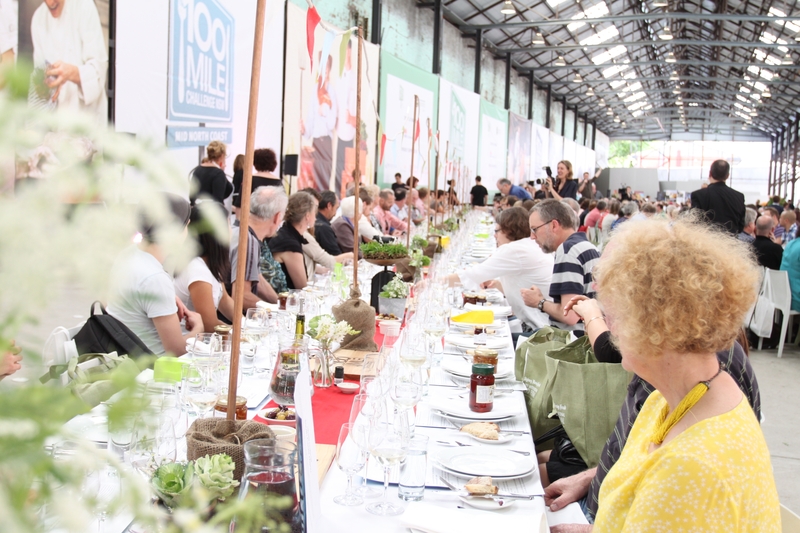 The winning region was determined by a panel of esteemed judges including Joanna Savill, Crave Sydney International Food Festival Director. 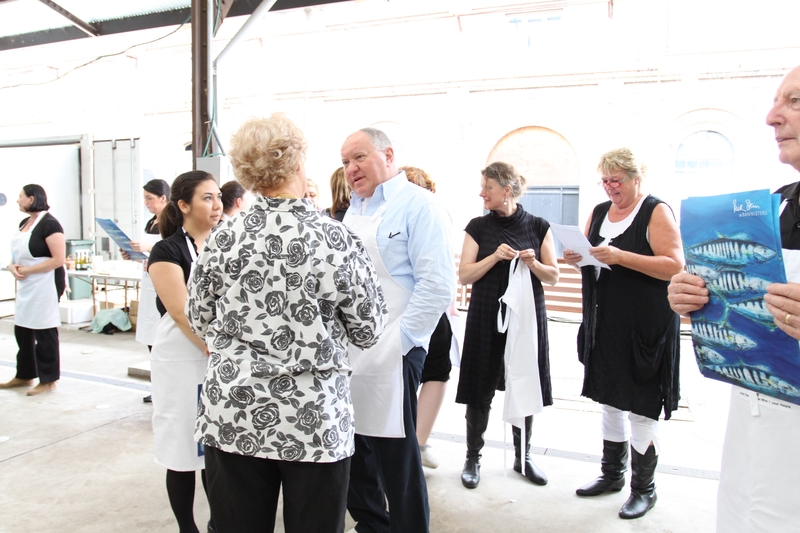 Each region was also allocated a high profile celebrity “mentor” chef and the South Coast was lucky enough to have Lucio Galletto OAM from Lucios Italian Restaurant http://www.lucios.com.au/ join us with wife Sally. 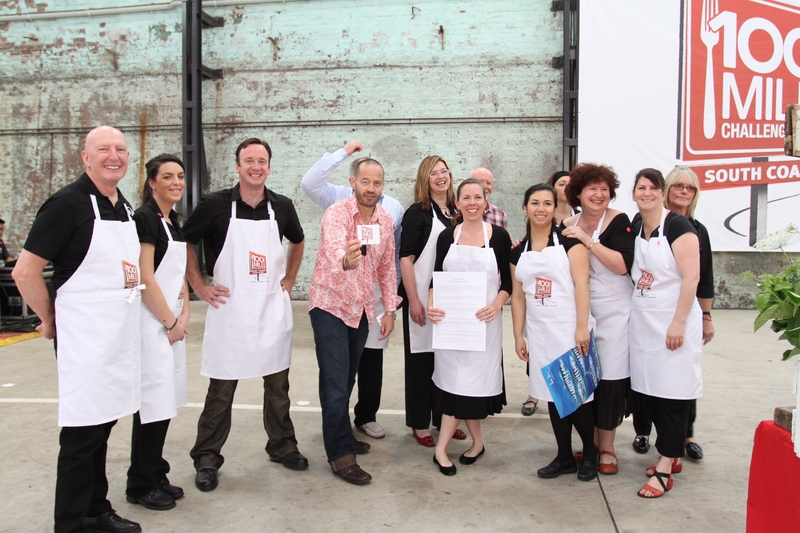 We also had the simply fabulous Adam Spencer of 702 ABC Sydney Breakfast show and Sleek Geeks fame on our table. By the time Adam was finished organising our table cheer leading squad our table made the Balmy Army look like wimps. After picking vegies, catching fish and milking cows – the South Coast team headed north yesterday for the BIG LUNCH lunch. 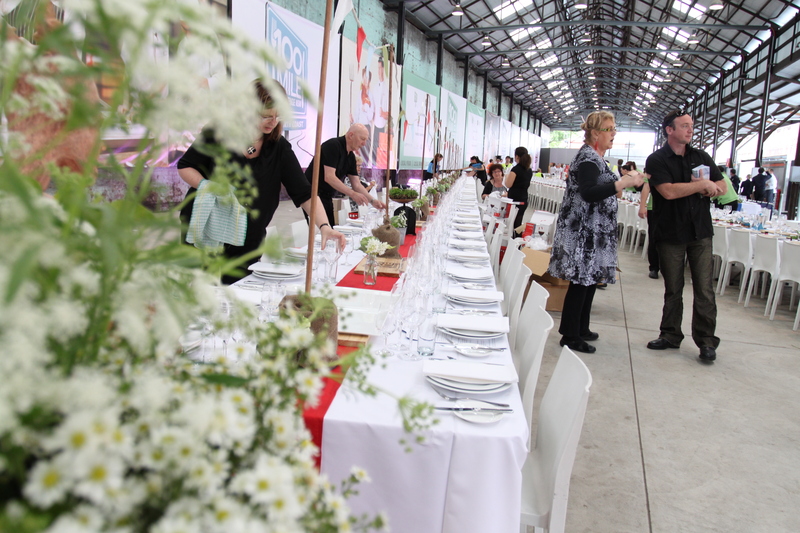 And what did our 100 lucky guests eat? The dessert a masterpiece by John Evans from the acclaimed Berry Sourdough. 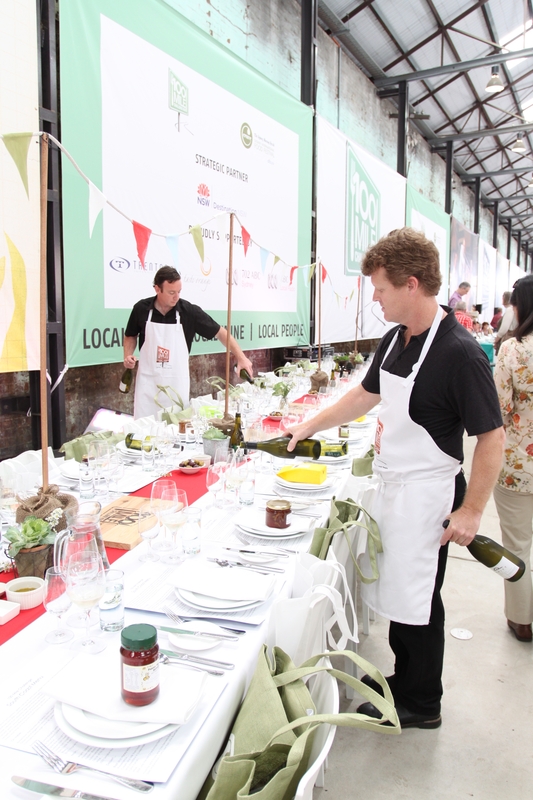 This was not your usual culinary competition. Each team was judged on how authentically they created a sense of people/place and product during and in the lead up to the lunch. 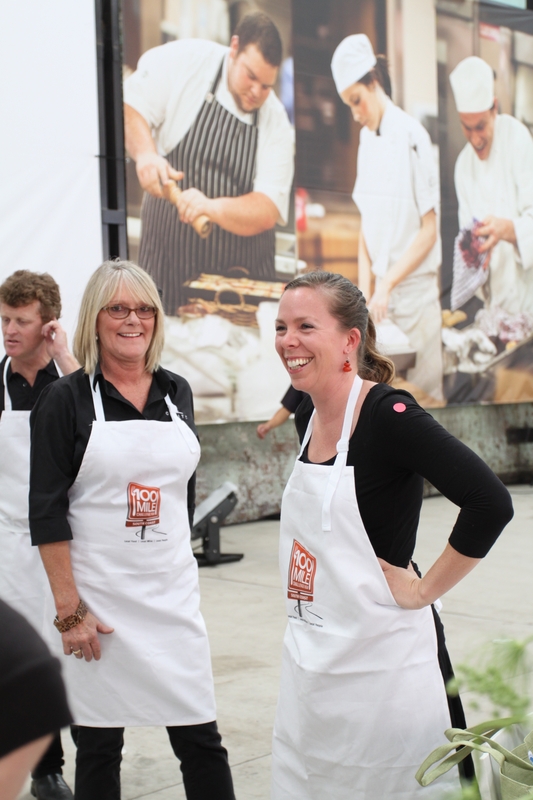 Showcasing the produce and the people who make it and grow was a really important part of the challenge. The aim was to give the 100 guests the feeling they had visited our regional home. • How is the region represented in the development of the menu? • How well have producers been represented? • How has the team worked to promote the region and the challenge? 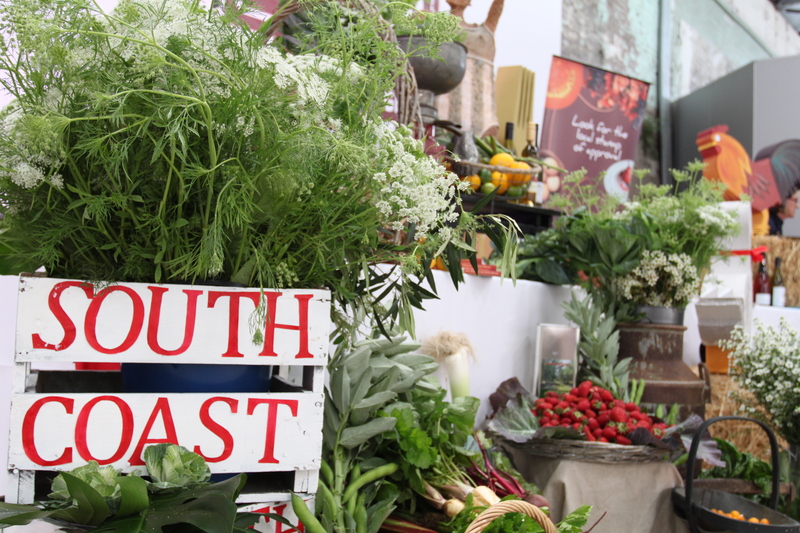 Our aim was to showcase the best of the South Coast’s beautiful fresh produce and bring a taste of our rolling green hills and famous beaches to Sydney and we certainly did that. to bring food to your plate sustainably. many hats she is first and foremost a farmer. Lynne explained to the students that whilst the majority of Australian farms are still family owned and operated successful farm businesses have the same business structure as large corporates and needed to access an extensive range of proven professionals for their businesses to remain healthy. sustainability manager. 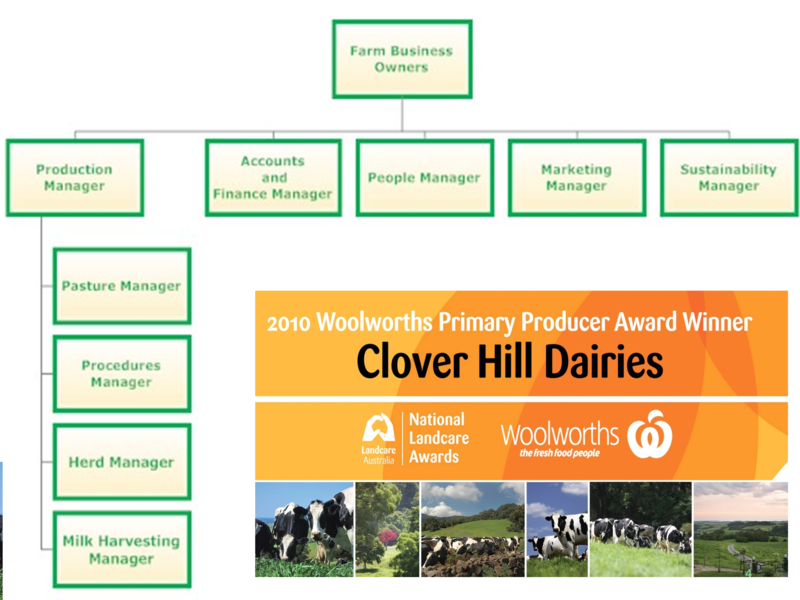 Lynne explained that part of her role as marketing manager was to raise the profile of the Clover Hill Dairies brand and one of the ways that she has done this is to set up a website which tells people who they are, what they do and how they think. great photographer and this is how her partnership with Siannon began. making Erin and Siannon’s school resources. Erin explained that she too needed Siannon’s expertise to help share her story through pictures. Through her PowerPoint and using Lynne’s farm as a working example Erin showed the students that farmers usually have two very different landscapes to manage The first one being the one that is their area of expertise the land they produce food and on and secondly the vast areas of Australia’s natural landscape that are also their farms. native vegetation and susccessfully achiving this requires working with weed warriors of Erin’s ilk. After viewing the trailer we gave some serious thought to the media and its representation of women in agriculture and agriculture in general. If indeed “The media is the message and the messenger and increasingly the most powerful one” why is agriculture afraid of telling our story, the real story? Why are we such poor marketers? Why isn’t agriculture seeing the media as high priority, a great opportunity and marketing tool? So let’s get our priorities right because in the world in which we all now farm image is everything and image needs to be created and it needs to be actively managed. So what image does agriculture want the people who buy our food and fibre to see? Who are our role models? Who do we admire? Who inspires us? What qualities, attitudes and abilities must they have to advocate for ourselves and our goals and take leadership on the issues that we believe in and debunk the myth conceptions about agriculture and farmers? images and perceptions of farming. Young farmers who would demonstrate passion for their industry while providing real life examples to young people who may have never considered a career in agriculture. Young people who can relate to students and are adept at breaking down stereotypes of farming and agricultural careers. Where are these people? Do they grow on trees or do they have to be identified, engaged, nurtured and trained. Well we can assure they don’t grow on trees but they are out there and they do need to be identified and they need to be nurtured. Our 2011 Young Farming Champions have been visiting schools across Sydney and now they are in the media telling agriculture’s story. Cobargo with two sisters, Bridget and Megan and parents Richard and June. area on the far south coast of NSW. study the different agricultural systems in these nations. it contributes to their daily life. Agricultural Society of NSW Rural Achiever 2007.
they’ve been allocated to study as part of Art4Agriculture’s Archibull Prize. a declining natural resource base. in feeding Australian families and many other families around the world. and how this commodity is being produced sustainably. knowledge of farming with city students. working in the dairy industry when she graduates. growing up on her farm and the importance of farmers in supporting our cities. asked: How many babies can one cow have? How old do cows get? share perspectives between farmers and metropolitan consumers. them for their school visits. “I have learned so much through my involvement in Young Farming Champions. Woolworths Ltd and the Rural Industries Research and Development Corporation. Art4Agriculture dedicates this post and salutes the industry peak bodies and value chain partners who are investing in our young people. Why doesn’t all peak industry bodies share the same ethos? approach to efficiently and effectively achieve the best outcomes for agriculture? and this must start with investing in the next generation of farmers. Art4Agriculture is committed to ensuring we have a sustainable food supply chain long into the future by providing capacity building programs that invest in developing future industry leaders. We are equally committed to fostering and providing opportunities to attract young people to join the agriculture sector. Art4Agriculture’s strategy is help create a culture of change at industry level and engage with peak industry bodies and partner with visionaries who in the first instance recognise there will be no future without investing in youth and in the second instance are prepared to lead by example. We celebrate those industry peak bodies and value chain partners who are investing in our young people through programs like the Investing in Youth Program which provides financial and mentoring support to Australian students who are committed to contributing to Australia’s rural sector. supply of primary industry graduates in the future. Successful recipients are selected on the basis of their commitment to a career in primary industries. and leadership and skills development workshops. Visit http://www.rirdc.gov.au/programs/national-rural-issues/dynamic-rural-communities/investing-in-youth-studentship-program/investing-in-youth–program-sponsors.cfm and join us in saluting the visionaries who see investing in youth as core business. Can you find your peak industry body here if not may we suggest you ask them why not? Art4Agriculture has personally seen the benefits of this joint industry and government collaboration project that has delivered us some of our Young Farming Champions like Naomi Marks. Champion. 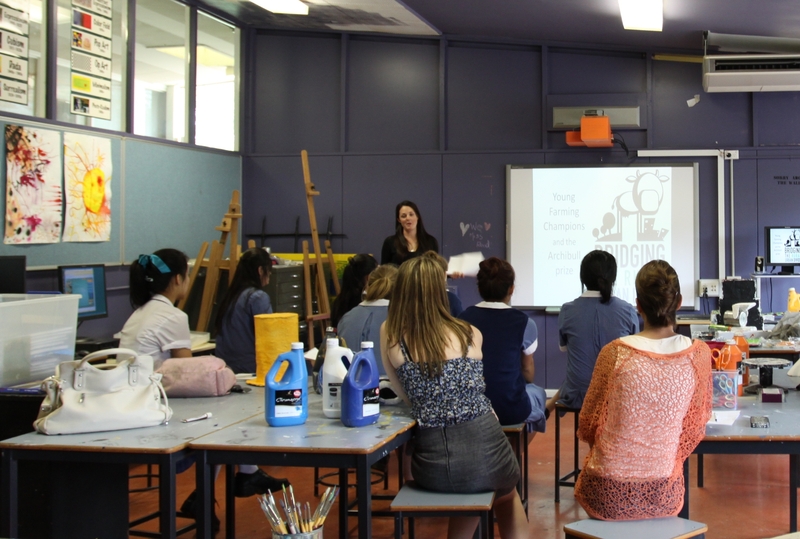 Citing a passion for agriculture and a particular interest in promoting agriculture to schools Naomi was chosen to tell the dairy industry’s story to Sydney school children. demonstrating that agriculture is full of young and vibrant people. progress in preparing their entry for the Archibull Prize. The Primary School class I spoke to was so impressive! There was not enough time to answer all questions…they were enthusiastic, interested, keen to know more and absolutely loved my video. asking them questions. Their level of knowledge also blew me away! They had so many questions that they are going to email me the rest! farming benefits city based consumers. 1. 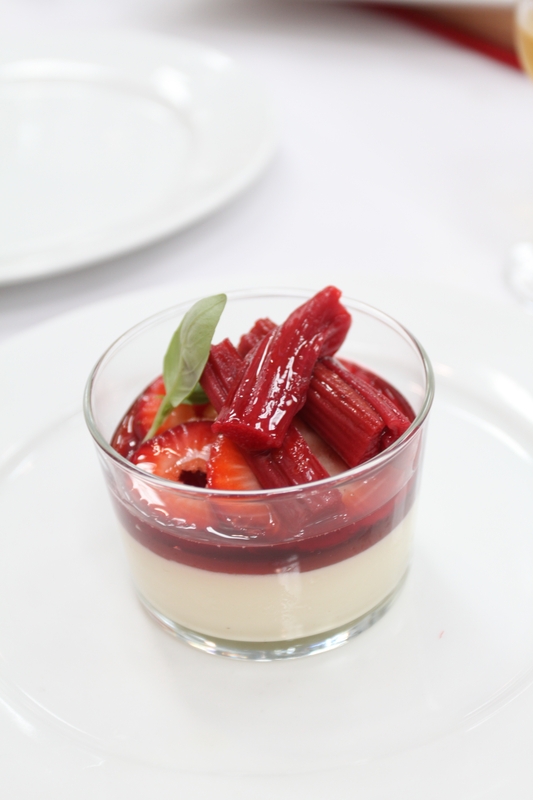 Farmers produce clean, safe and fresh food and fibre with high quality assurance standards, second to none. 2. Agriculture is a large contributor to Gross Domestic Product. towns alive and provides many jobs. between the involvement and agricultural production. that explores the themes they have studied. ask questions and clarify their knowledge around the topic. The next step for Naomi is to focus on her own studies as exams loom for her Bachelor of Agribusiness at the University of New England. Naomi prepared resources for her school visits.